In recent times, it seems to be an increasing trend for anti-copying software DRM systems to install invasive privileged software. For example, there’s the ever so infamous “Sony DRM Rootkit” that Mark Russinovich publicly exposed some time ago. Unfortunately, software like this is becoming commonplace nowadays. Most DRM technologies tend to use unsupported and/or “fringe” techniques to make themselves difficult to understand and debug. However, more often than not, the DRM authors often get little things wrong with their anti-debug/anti-hack implementations, and when you’re running in a privileged space, “little things wrong” can translate into a security vulnerability. Yesterday, Microsoft published a security advisory concerning a privileged DRM system (Macrovision’s SafeDisc, secdrv.sys) that happened to have a security bug in it. Security bugs in privileged parts of DRM code are certainly nothing new in this day and age, but what makes this case interesting is that here, Microsoft shipped the affected code with the operating system since Windows XP. To make matters worse, the code (a kernel driver) is running by default on all Windows XP x64 and Windows Server 2003 x64 systems. (The bug is reportedly not present in the Windows Vista implementation of the driver in question.) On x64 versions of Windows, the driver even runs if you have no programs running (or even installed) that use SafeDisc. Curiously, this does not appear to be the case for x86 versions of Windows XP and Windows Server 2003, for which secdrv is configured as a demand start driver. I’ve always wondered how Macrovision managed to talk Microsoft into shipping a third party, software only driver, which for x64 versions of Windows is always enabled (secdrv has, as previously mentioned, been on every Windows box since Windows XP, although it is not automatically started on x86 versions of Windows). Doing so always seemed rather… distasteful to me, but the situation becomes even more unfortunate when the code in question has a security bug (a kernel memory overwrite – local privilege escalation – bug, as far as I know). I’m sure all the Windows Terminal Server admins out there will really just love having to reboot their Windows Server 2003 x64 TS boxes because a buggy video game DRM system was shipped with the OS and is on by default, despite the fact that there’s almost zero chance that any software that would have used Macrovision would possibly ever end up on a server OS install. In this respect, I think that DRM systems are going to be high priority targets for security bugs in this increasingly digitally-restricted world. With more and more content and software being locked up by DRM, said DRM systems become increasingly widespread and attractive targets for attack. Furthermore, from observing the seemingly never-ending wars between Sony, Macrovision, and others against persons who reverse engineer the DRM systems these companies distribute, it would seem that there is in fact already a fair amount of incentive for “unsavory” individuals to be taking these DRM systems apart, security bugs nonwithstanding. To make matters worse, due to their extremely secretive nature, it’s highly questionable whether DRM systems get proper (and effective) code and design reviews. In fact, this point is even more worrisome (in my opinion) when one considers that software DRM systems are virtually by definition engineered to be difficult to understand (so as to be more resilient to attack through security by obscurity). The worst thing about bugs with DRM systems is that for a “legitimate” customer that obeys the “rules” and happily installs DRM-ware on their box, they generally can’t ever mitigate the risk by simply disabling the “affected component” without breaking their DRM’d content or software (and good luck trying to ask technical support how to get the protected content to work without DRM, security bugs or not). Most ironically, “unscrupulous” individuals who have hacked around their DRM systems might be more secure in the end than paying customers, if they can access the protected content without involving the DRM system. Now to be fair, in this case, I’d imagine most users could probably disable the secdrv driver if they wanted to (I doubt anyone running Windows Server 2003 would miss it at all, for one). Still, the fact remains that the vast majority of DRM systems are of amazingly poor quality in terms of robustness and well written code. This is one of the reasons why I personally am extremely wary of playing games that require administrative privileges or install administrative “helper services” for non-administrative users, because games have a high incidence of including low quality anti-cheat/anti-hack/anti-copying systems nowadays. I simply don’t trust the people behind these systems to get their code right enough to be comfortable with it running with full privileges on my box. From a software security perspective, I tend to rank most DRM technologies right up there with anti-virus software and other dregs of the software security world. 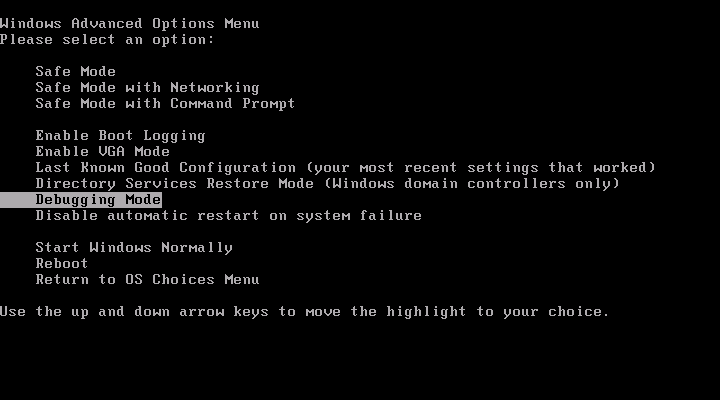 Update: Changed to note that secdrv is configured as auto start only for Windows XP x64 and Windows Server 2003 x64. On x86 versions of these operating systems, it is a demand start driver. The reason for this discrepancy is not known, although one would tend to suspect that it is perhaps an oversight given the behavior on x86 machines. Hey, nobody said that security can’t have a little humor injected into it from time to time. SQL injection attacks continue to be one of the most common attack vectors for web-based applications. I recently saw someone just search through random links found via Google that were to dynamically generated pages which took some sort of database identifier on their query string. The idea was to change the URLs found to have “dangerous” characters in their query parameters, and then see who died with a database error. The number of sites running code that didn’t escape obvious database queries in Q4 2007 was quite depressing, as I recall. One of the things introduced with Windows Vista is the concept of something called “user interface privilege isolation”, or an attempt to allow multiple processes to coexist on one desktop even if they are running at different privilege levels, without compromising security. This new change to the security architecture with respect to how the user interface operates is also a significant part of how UAC and Internet Explorer Protected Mode can claim be to be reasonably secure, despite displaying user interfaces from differing security contexts on the same desktop. System marshalled messages, or messages that come before WM_USER. These are messages that for compatibility with 16-bit Windows (and convenience), are automagically marshalled cross process. For example, this is why you can send the LB_ADDSTRING message to a window located in a different process, even though that message takes a pointer to a string which would obviously not be valid in the remote address space. The windowing system understands the semantics of all system marshalled messages and can thus, as the name implies, marshal them cross-process. This also means that in many circumstances, the system can also perform parameter validation in the cross process case, so that for instance a null pointer passed to LB_ADDSTRING won’t cause the remote process to crash. The system marshalled range also includes messages like WM_DESTROY, WM_QUIT, and the like. Most of the “built in” controls like the Edit and ListBox controls are “grandfathered in” to the system marshalled range, for compatibility reasons, though the newer common controls are not specially handled like this. The private window class message range, from WM_USER to 0x7FFF. These messages are specific to a particular custom window class (note that common controls, such as Rich Edit, are “custom” window classes even though you might think of them as being built in to the operating system; the windowing system ostensibly has no special knowledge of these controls, unlike the “built-in” controls like ListBox or Edit). Because the format and semantics of these messages are specific to a program-supplied window class, the window manager cannot interpret, marshal, or validate these parameters cross-process. The private application message range, from WM_APP to 0xBFFF. These window messages are specific to a program (and not a window class), though in practice it is very common for programmers to incorrectly interchange WM_USER and WM_APP for custom window classes that are internal to an application. These window messages are again completely opaque to the window manager and are essentially treated the same as private window class messages. Their intended use is to allow things like application customized subclasses of window classes to communicate with eachother (e.g. in the case where the application hooks a window procedure). The registered message range, from 0xC000 to 0xFFFF. Window messages here are dynamically assigned similarly to how atoms work in Windows. Specifically, a program passes an arbitrary string to the RegisterWindowMessage routine, which hands the application back a value in the registered message range. Any other program calling RegisterWindowMessage in the same session will receive the same window message value. These messages are, like class- and application- defined messages, opaque to the system. They are used when programs need to communicate cross-process with custom window messages, without the use of some sort of central registry where window messages would have to be permanently registered with Microsoft in order to receive a unique, non-conflicting identifier. By using an arbitrary string value (easy to make unique) and dynamically reserving a numeric message identifier at runtime, no registry is required and programs following the “standard” for that window message can still communicate with eachother. Registered window messages are not marshalled or interpreted by the windowing system. Now, in Windows Vista, only a subset of the system marshalled messages can be sent cross process when the two processes have differnet integrity levels, and this subset of messages is heavily validated by the system, such that if a program receives a message in the system marshalled range, it can ostensibly “trust” it. Since the windowing system cannot validate custom messages (in any of the other three categories), these are all silently dropped by default in this scenario. This is typically a good thing (consider that many common control messages have pointers in their contracts and lay in the WM_USER range, making it very bad for an untrusted program to be able to send them to a privileged application). However, sometimes, one does need to send custom messages cross process. Vista provides a mechanism for this in the Change­Window­Message­Filter function, which is essentially a way to “poke a hole” in the window message “firewall” that exists between cross-integrity-level processes in Vista. Now, this might seem like a great approach at first – after all, you’ll only use Change­Window­Message­Filter when you’re sure you can completely validate a received message even if it is from an untrusted source, such that there’s no way something could go wrong, right? Well, the problem is that even if you do this, you are often opening your program up to attack unintentionally. Consider for a moment how custom window messages are typically used; virtually all the common controls in existance have “dangerous” messages in the custom class message range (e.g. WM_USER and friends). Additionally, many programs and third party libraries confuse WM_USER and WM_APP, such that you may have programs communicating cross process via both WM_USER and WM_APP, via “dangerous” messages that are used to make sensitive decisions or include pointer parameters. This means that in reality, you can’t really use Change­Window­Message­Filter for a specific window message unless you are absolutely sure that nobody else in your process is listening for that message and can’t be exploited if they receive a malformed (or specially crafted) message. Right away, this pretty much excludes all WM_USER messages, and even WM_APP is highly questionably in my opinion due to how frequently components mix up WM_USER and WM_APP. Let’s look at the documentation for some of those window messages in MSDN. Hmm, there’s CBEM_INSERTITEM[A|W], which takes, in lParam, “A pointer to a COMBOBOXEXITEM structure…”. Oh, and there’s also WM_CHOOSEFONT_GETLOGFONT, which uses lParam for a “pointer to a LOGFONT structure…”. Hmm, let me see. Anybody who calls SHChangeNotify is promising that they are not using any ComboBoxEx controls, any choosefont controls, or any of the other many hits for dangerous WM_USER + 1 messages that I didn’t list for space reasons. Oh, and that’s just the built-in controls – what happens if there’s a third party control thrown in there? What if we’re running in Internet Explorer and there’s a custom ActiveX control showing its own user interface there, blissfully unaware that some other code in the process called SHChangeNotify. That means that anybody, anywhere, who calls SHChangeNotify on Vista (or uses a library or function that calls SHChangeNotify internally, which is probably not going to be documented at all being an implementation detail) just reinvented the shatter attack with their program (congratulations! ), probably without even realizing it – how would they, if they didn’t take the time to disassemble the API instead of trusting that it just works? Now, I might be coming off a bit harsh on Microsoft here, but that’s kind of my point. Microsoft puts a lot of effort into security, and they’re the ones who designed and implemented the new the new security improvements on Vista. Sadly, this is hardly an isolated incident in Vista – with a little bit of looking, it’s very easy to find numerous other examples of system libraries that are loaded in used and called all over the place making this sort of error, which represents in my opinion a fundamental lack of understanding of how user interface security works. Now, if the company that designed and implemented Change­Window­Message­Filter is using it wrong, how many third party developers out there that just want to get their program working under Vista in the quickest way possible with the minimum amount of effort and money spent will do the right thing? MSDN doesn’t even document this entire class of problems with Change­Window­Message­Filter that I can tell, so to be honest I think I can be fairly confident and say “virtually nobody”. It takes someone with a fairly good understanding of how the window messaging system impacts security to recognize and grasp this problem, and that only includes people who are even thinking about security in the first place when they see a function like Change­Window­Message­Filter, which I’m betting are already the vast minority. This function is one that is pretty much all but impossible to use correctly aside from just maybe messages in the registered message range, which are already expected to be cross process and and not fully trusted (and I’m still skeptical that people will even on average get it right even in that case). There are almost certainly other loopholes in the UIPI architecture that have yet to be discovered, if for no other reason than that it is a security bolt-on to an architecture that was designed for a single shared address space in a cooperative multitasking system. I wouldn’t say that this is so much the fault of the UIPI folks, but rather a fact that it’s just going to be ridiculously hard to make it completely safe to run programs with multiple privilege levels on the same desktop. And, remember, the “good guys” have to get it right 100% of the time from a security perspective, while the “bad guys” only need to find that one case out of 1000 that got missed in order to break the system. So, do yourself a favor and stick to the desktop as a security barrier; the 16-bit Windows-derived window messaging system was just not designed to support programs at different privilege levels on the same desktop. One of the security enhancements in the Windows XP and Windows Server 2003 timeframe was to move a number of the built-in services that ship with the OS to run as a more restricted user account than LocalSystem. Specifically, two new built-in accounts akin to LocalSystem were introduced exclusively for use with services: The local service and network service accounts. These are essentially slightly more powerful than plain user accounts, but not powerful enough such that a compromise will mean the entire system is a write-off. The intention here was to reduce the attack surface of the system as a whole, such that if a service that is running as LocalService or NetworkService is compromised, then it cannot be used to take over the system as a whole. Now, reducing the amount of code running as LocalSystem is a great thing pretty much all around, but there are some sticking points with the way the two built-in service accounts work that aren’t really covered in the documentation. Specifically, that there are a whole lot of other services that run as either LocalService or NetworkService nowadays, and by virtue of the fact that they all run as the same security context they can be compromised as one unit. In other words, if you compromise one LocalService process, you can attack all other LocalService processes, because they are running under the same security context. Windows Vista improves on this a little bit; in Vista, LocalService and NetworkService processes do have a little bit of protection from eachother, in that each service instance is assigned a unique SID that is marked as the owner for the process object (even though the process is running as LocalService or NetworkService). Furthermore, the default DACL for processes running as LocalService or NetworkService only grants access to administrators and the service-unique SID. This means that in Vista, one compromised LocalService process can’t simply use OpenProcess and WriteProcessMemory (or the like) to take complete control over another service process in Vista. Looking at winnt.h, we can see that S-1-5-5-X-Y corresponds to a logon session SID. In Vista, each LocalService/NetworkService service process gets its own logon session SID. By making the process owned by a different user than it is running as, and not allowing access to the user that the service is running as (but instead the logon session), the service is provided some measure of protection against processes in the same user context. This may not provide complete protection, though, as in general, any securable objects such as files or registry keys that contain an ACE matching against LocalService or NetworkService will be at the mercy of all such processes. To Microsoft’s credit, however, the default DACL in the token for such LocalService/NetworkService services doesn’t grant GenericAll to the user account for the service, but rather the service SID (another concept that is unique to Vista and future systems). Furthermore, it seems like many of the ACLs that previously referred to LocalService/NetworkService are being transitioned to use service SIDs instead, which may again over time make LocalService/NetworkService once again viable, after all the third party software in the world that makes security decisions on those two SIDs is updated (hmm…), and the rest of the ACLs that refer to the old generalized SIDs that have fallen through the cracks are updated (check out AccessEnum from SysInternals to see where those ACLs have slipped through the cracks in Vista – there are at least a couple of places in WinSxS that mention LocalService or NetworkService for write access in my machine, and that isn’t even considering the registry or the more ephemeral kernel object namespace yet). Again looking at winnt.h, we clearly see that S-1-5-19 is LocalService. So, there is absolutely no protection at all from one compromised LocalService process attacking another, at least in Windows Server 2003. Note that if you are marked as the owner of an object, you can rewrite the DACL freely by requesting a handle with WRITE_DAC access and then modifying the DACL field with a function like SetKernelObjectSecurity. From there, all you need to do is re-request a handle with the desired access, after modifying the security descriptor to grant yourself said access. This is easy to verify experimentally by writing a test service that runs as LocalService and requesting WRITE_DAC in an OpenProcess call for another LocalService service process. To make matters worse, nowadays most services run in shared svchost processes, which means if one process in that svchost is compromised, the whole process is a write off. I would recommend seriously considering using dedicated unique user accounts for your services in certain scenarios as a result of this unpleasant mess. In the case where you have a security sensitive service that doesn’t need high privileges (i.e. it doesn’t require LocalSystem), it is often the wrong thing to do to just stuff it in with the rest of the LocalService or NetworkService services due to the vastly increased attack surface over running as a completely isolated user account, even if setting up a unique user account is a pain to do programmatically. Note that although Vista attempts to mitigate this problem by ensuring that LocalService/NetworkService services cannot directly interfere with eachother in the most obvious sense of opening eachother’s processes and writing code into eachother’s address spaces, this is really only a small measure of protection due to the problem that one LocalService process’s data files are at the mercy of every other LocalService process out there. I think that it would be extremely unwise to stake your system security on there being no way to compromise one LocalService process from another in Vista, even with its mitigations; it may be slightly more difficult, but I’d hardly write it off as impossible. Given all of this, I would steer clear of NetworkService and LocalService for sensitive but unprivileged processes (and yes, I would consider such a thing a real scenario, as you don’t need to be a computer administrator to store valuable data on a computer; you just need there to not be an untrusted (or compromised) computer administrator on the box). One thing I am actually kind of curious about is what the SWI rationale is for even allowing the svchost paradigm by default, given how it tends to (negatively, from the perspective of system security) multiply the attack surface of all svchost’d processes. Using svchosts completely blows away the security improvements Vista makes to LocalService / NetworkService, as far as I can tell. Even though there are some services that are partitioned off in their own svchosts, there’s still one giant svchost group in Vista that has something on the order of like ~20 services in it (ugh!). Not to mention that svchosts make debugging a nightmare, but that’s a topic for another posting. Update: Andrew Rogers pointed out that I originally posted the security descriptor for a LocalSystem process in the Windows Server 2003 example, instead of for a LocalService process. Whoops! It actually turns out that contrary to what I originally wrote, the DACL on LocalService processes on Windows Server 2003 doesn’t explicitly allow access to LocalService, but LocalService is still named as the object owner, so it is trivial to gain that access anyway, as previously mentioned (at least for Windows Server 2003). Normally, you’re kind of sunk if you’re in this position, which is the whole idea – no administrator password is no administrative access to the box, right? The officially supported solution in this case, assuming you don’t have a password reset disk (does anyone actually use those?) is to reformat. Oh, what fun that is, especially if you just need to grab something off of a test system and be done with it in a few minutes. Well, with physical access (or the equivalent if the box is a VM), you can do a bit better with the kernel debugger. It’s a bit embarassing having to “hack” (and I use that term very loosely) into your own VM because you don’t remember which throwaway password you used 6 months ago, but it beats waiting around for a reformat (and in the case of a throwaway test VM, it’s probably not worth the effort anyway compared to cloning a new one, unless there was something important on the drive). This is, however, perhaps an instructive reminder in how much access the kernel debugger gives you over a system – namely, the ability to do whatever you want, like bypass password authentication. The basic idea behind this trick is to use the debugger to disable the password cheeck used at interactive logon inside LSA. Now that we’ve got the LSASS EPROCESS value, the next step is to switch to it as the active process. This is necessary as we’re going to need to set a conditional breakpoint in the context of LSA’s address space. For this task, we’ll use the .process /p /r eprocess-pointer command, which changes the debugger’s process context and reloads user mode symbols. Next, we set up a breakpoint on a particular internal LSA function that is used to determine whether a given password is accepted for a local account logon. The breakpoint changes the function to always return TRUE, such that all local account logons will succeed if they get to the point of a password check. After that, execution is resumed. "g @$ra ; r @al = 1 ; g"
The breakpoint has a condition (or command) attached to it. Specifically, this command runs the target until it returns from the current function (“g @$ra” continues the target until the return address is hit. @$ra is a special platform-independent psueod-register that refers to the return address of the ccurrent function.) Once the function has returned, the al register is set to 1 and execution is resumed. This function returns a BOOLEAN value (in other words an 8-bit value), which is stored in al (the low 8 bits of the eax or rax register, depending on whether you’re on x86 or x64). IA64 targets don’t store return values in this fashion and so the breakpoint is x86/x64-specific. From there, you can simply reset the password for your account via the Computer Management console. Be warned that this will wipe out EFS keys and the like, however. To restore password checking to normal, either reboot the box without the kernel debugger, or use the bc* command to disable the breakpoint you set. Now, one thing that you might take away from this article, from a security standpoint, is that it is important to provide physical security for critical computers. To be honest, if someone really wants to access a box they have physical access to, this is probably not even the easist way; it would be simplere to just pop in a bootable CD or floppy and load a different operating system. As a result, as previously mentioned, I wouldn’t exactly consider this a security hole as it already requires you to have physical access in order to be effective. It is, however, a handy way to reset passwords for your own computers or VMs in a pinch if you happen to know a little bit about the debugger. Conversely, it’s not really a supported “solution” (more of a giant hack at best), so use it with care (and don’t expect PSS to bail you out if you break something by poking around in the kernel debugger). It may break without warning on future OS versions (and there are many cases that won’t be caught by this trick, such as domain accounts that use the Kerberos provider to process authentication).